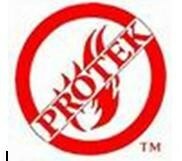 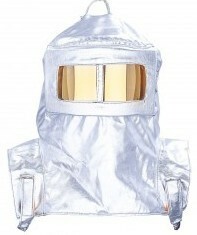 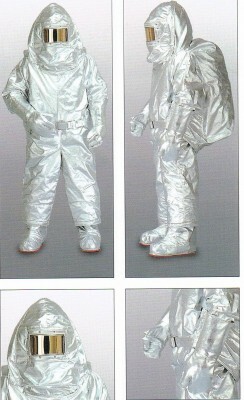 Specialist PPE and Heat protection suits. 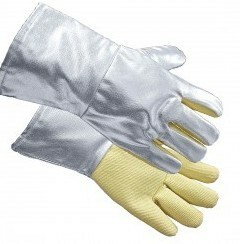 There are many specialist types of PPE required for Industry and specific roles; below are just a few, for full or additional details please contact us. 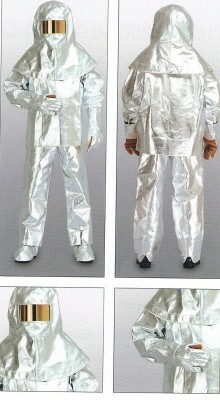 Silver heat suits, proximity & Approach ranges. 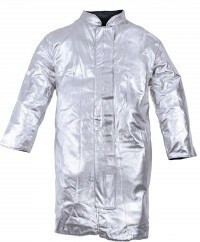 AM10, Unlined Approach coat 1 Layer..
AM11, Lined Approach coat 3 layer. 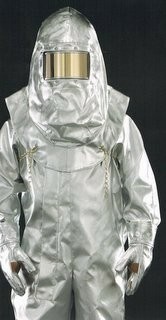 Lightweight suit for protection from radiant heat and splashes from molten metal. 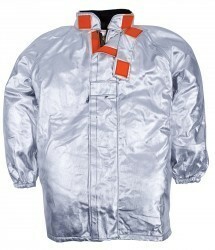 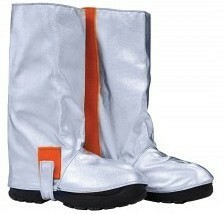 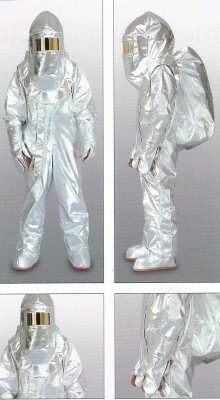 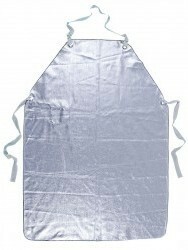 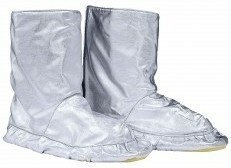 Coverall for protection from extreme heat and splashes from molten metal, can be used with BA.